Mopheads (Hydrangea macrophylla) are the most popular type of garden shrubs, and the unique shape of their flowers has inspired many common names. You may know mopheads as pom-pom hydrangeas, bigleaf hydrangeas, French hydrangeas or even hortensia. Growing mophead hydrangeas is easy as long as you follow a few simple rules. Read on for tips on how to grow a mophead hydrangea and other mophead hydrangea info. 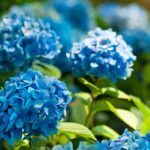 What are mophead hydrangeas? These deciduous hydrangea shrubs have large heads of blossoms. 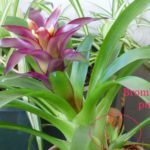 Gardeners love them because they are showy, easy care and bloom reliably every summer. Once you know that mopheads are also called bigleaf hydrangeas, it will be no surprise that the leaves are oversized, sometimes as large as a dinner plate. They are a fresh, bright green and give the shrubs a lush, rounded aspect. Mophead hydrangea information tells you that the shrubs can grow taller than you are and have an equal or greater spread. They grow quite rapidly and can make excellent hedges if spaced appropriately. Mophead hydrangeas come in two types. Some mopheads bear small flowers in big, rounded clusters that can be as large as cabbages. The other type of mopheads are called lacecaps. These shrubs bear blossom clusters that look like flat disks edged with larger, showy flowers. If you are growing mophead hydrangeas, you probably know about the shrub’s “magic secret.” These are the hydrangeas that can change color. If you plant a mophead in acidic soil, it grows blue flowers. If you grow the same shrub in alkaline soil, the flowers will grow in pink instead. Growing mophead hydrangeas doesn’t require a lot of work or know-how. These shrubs thrive on minimum maintenance as long as they are planted in appropriate sites. 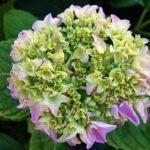 You’ll find mophead hydrangea care easiest if you plant them in U.S. Department of Agriculture plant hardiness zones 5 through 9. In cooler zones, they do well in full sun. But in regions with hotter summers, select a site with afternoon shade. 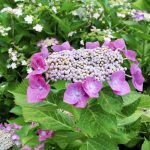 If you are looking for tips on how to grow a mophead hydrangea, there are only a few important things to remember. Plant these shrubs in moist, well-draining soil with plenty of elbow room. When you first install your shrubs, include regular irrigation. After their root systems develop, their water needs decrease. In most cases, you only need to water during dry spells that last over a week. However, if you are growing mophead hydrangea in full sun, you may have to water more often. Once the summer heat passes, you can irrigate less frequently. Mophead hydrangea care does not necessarily require pruning. If you do decide to prune hydrangea, do so right after the shrub finishes flowering.